It has been a while since I last wrote to you. Mommy has been busy with work, your sister's school, your Ate's workshop. But I am thinking of you always, like every day. Last week, on your 10th month, I prayed to God that he let me borrow you in my dreams, just so I can hug and kiss you one more time. And guess what, I did not sleep haha! Fordy, why don't you want to see me? Haha! Then your dad reminded me again and again that you, not showing up in our dreams means you are already in peace, probably busy playing in clouds. Okay, okay. But when you have the time, come see me okay? Today, I became extra sad. I saw a friend's Facebook post about another baby like you who died of heart disease. Why do babies have to be born with a broken heart? I pray that Jacob's mom gets past thru the pain like I did. Can you send her some strength, bubut? She must be very very sad today. Anyway, we are going to meet Tita Kat today. She is going to donate a sack of rice for your birthday. Great, isn't it? Then we are heading to ABS-CBN for Ate Bam's workshop. We might have early dinner on our way home. It's almost your birthday baby. I wish you could wear the party hats I'll buy, eat the ice cream and cake, pop a balloon. But we will make a lot of kids happy on that day. And I am sure you will be happy too. 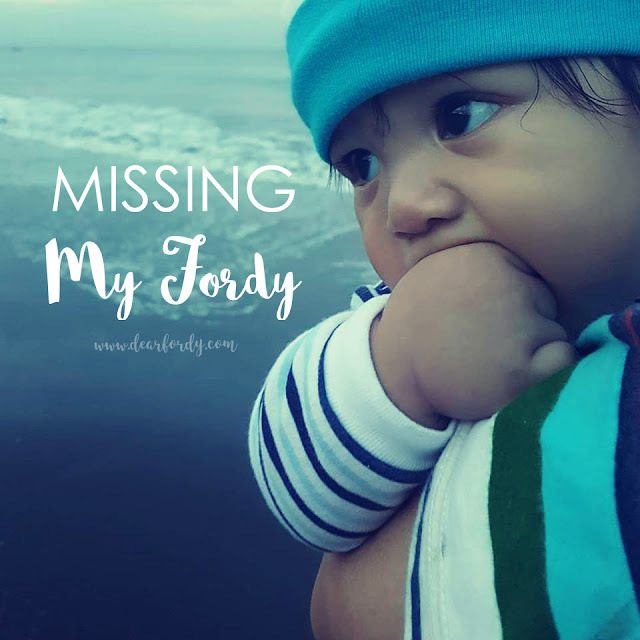 I miss you, Fordy. I will talk to you later.